Hildegarde’s Pantry is a ministry of the Cathedral Church of St. Mark and began in the kitchen of the Cathedral in the early 80s and then moved to the old parish hall. For five years the pantry was housed at the Jubilee Center on the corner of 200 E. 100 South until the new, expanded pantry facility was completed in 2006 on the grounds of the Cathedral. With the additional space and commercial freezers and refrigerators donated by the LDS Church Foundation, the pantry was one of the first in the state to move to a complete “choice” approach; visitors to the pantry indicate their choices for all food and personal care items from the shelves. We believe this promotes the dignity of all our guests. The Pantry enjoys a rich history of Christian service that is reflected in its work and even its name. The Pantry is named after two women, both named Hildegarde, who were examples of such service. The first was St. Hildegarde of Bingen, a Medieval German healer, mystic, musician and theologian whom the original Pantry was named for. Then over 800 years later, the second was Hildegarde “Hilly” Pischel, a beloved parishioner of the Cathedral Church of St. Mark, who left an endowment for the pantry. In honor of Hilly and “e” was added to the name Hildegarde. Volunteers are gladly welcome to participate in light work (stocking shelves, unloading boxes, sorting), data entry (very simple, one screen) and heavier work (unloading trucks, moving boxes). The Pantry serves around 2000 households a month. Sometimes we serve many many more. 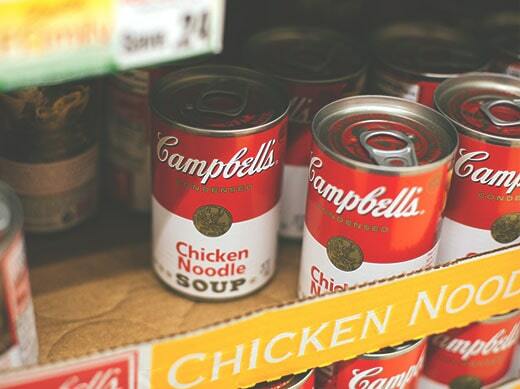 We partner with local organizations like Utah Food Bank, Welfare Square, and Grocery Rescue to bring thousands of pounds of food to Utah residents in need each year. We believe in taking the Church to the world in providing a vital outreach ministry. We also invite the world to St. Mark’s Cathedral by promoting a greater awareness of the needs of Utah residents who are without adequate food. Parishioners and community members volunteer thousands of hours and donate food items, personal care items, and fresh produce throughout the year as well as provide financial support to people in need. The Pantry Director salary and a portion of the salary for the Deacon of St. Mark’s Cathedral are paid from the Hildegarde’s Pantry restricted accounts (monies donated specifically for the pantry). These positions play a critical role in organizing our ministry’s efforts to care for those in need. In addition, funds are used for special food items, such as holiday foods (chickens and turkey hams), miscellaneous pantry supplies, gas for volunteer delivery five times per week, lunch one time per week for Monday volunteers who are at the pantry an average of 5 hours unloading trucks, breaking down pallets, stocking shelves, and refrigerator and freezer and cleanings. 11:00-1:30 and Thursday evening 5:00-6:30. We reserve the right to close the pantry earlier than the posted time if the lobby is full at the posted closing time. Processing and serving those people may take volunteers and staff an extra 30-45 minutes. Deliveries are made on Monday and where volunteers clean, unload, sort and stock the pantry. We are not open to the public this day. Holiday food in November and December requires pre-registration. Dates vary by year. These dates and all holiday closures are posted at the beginning of each month at the pantry. Guests of the Food Pantry must meet the following requirements. Children under 17: identification may be Social Security Card, Medicaid card, passport, school ID or any other document showing relationship to parent(s). Does not have to have a picture. In an effort to promote good stewardship of the environment, visitors are given an “extra choice” item if they bring in a reusable bag. We believe in caring for people and the Earth. the hungry since the 1980s. If you would like to donate food to Hildegard’s Pantry convenient containers are located at each entrance of the Cathedral Center. We are also in need of egg cartons recyclable bags and canvas bags. These items help us reduce our use of plastics. If you have questions about the Pantry or how you can get involved please get in touch.